Editor’s Note: Steven Belitzky is eligible to play for University of Rochester, but is currently assisting the team in a non-playing role. 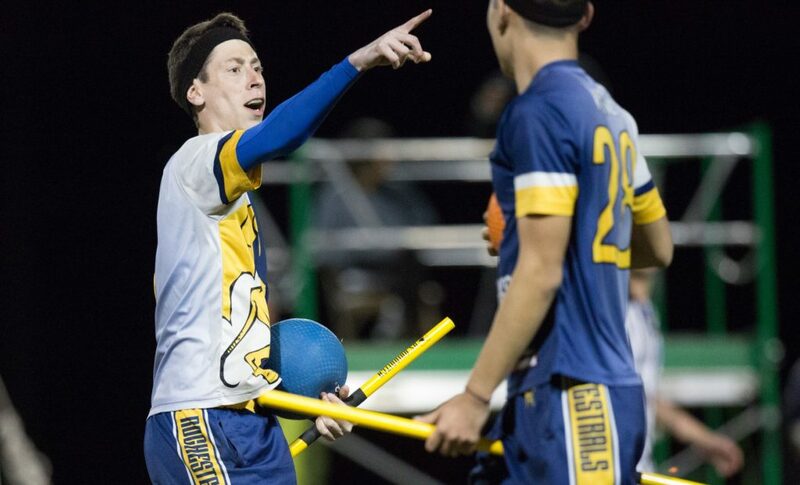 On their way to a collegiate national championship this past season, the University of Rochester consistently broke new grounds in terms of how far we could go in underrating an eventual champion. They were the first team to ever win it all after starting the season unranked in The Eighth Man rankings; the lowest-ranked team in our final pre-nationals poll to ever win; and, now, as though we had not already embarrassed ourselves enough, the lowest-ranked team in the preseason poll following their national title. This could not be more of a mistake. The reason that Rochester was systematically underrated a season ago was because of their composition. This wasn’t a Texas squad, running 21 deep with elite athletes funneled from a large program at a massive school. It wasn’t even a Boston program, with a couple of highly-talented lines backboned by a very strong beating game. No, Rochester was a team that, to many a casual onlooker, was a singular hero baller in Basem Ashkar supported by the high-level play of a trio of beaters: Perry Wang, Steven Belitzky and Tim Kwan. But the team that showed up at nationals benefitted from the play of a lot more than just those key pieces. Justin King, now a sophomore, gave them consistent play as a point defender while making the occasional offensive contribution, as well. Sam Dinga and Owyn Guinnip gave the offense options, while 37th-year senior Mike Pascutoi led a seeking group that went 4-1 in SWIM situations on the weekend. Ethan Warren, while serving essentially as a non-playing coach, constantly outmaneuvered the opposition, and, just like that, Rochester was sitting on top of the world. We recap all of that not simply to wax poetic about the Rochester championship but to more fully outline why this team will be able to recover from their losses to graduation. Ashkar, Wang and Dinga may now be out of the picture, but there are people to step in and begin to fill those holes. 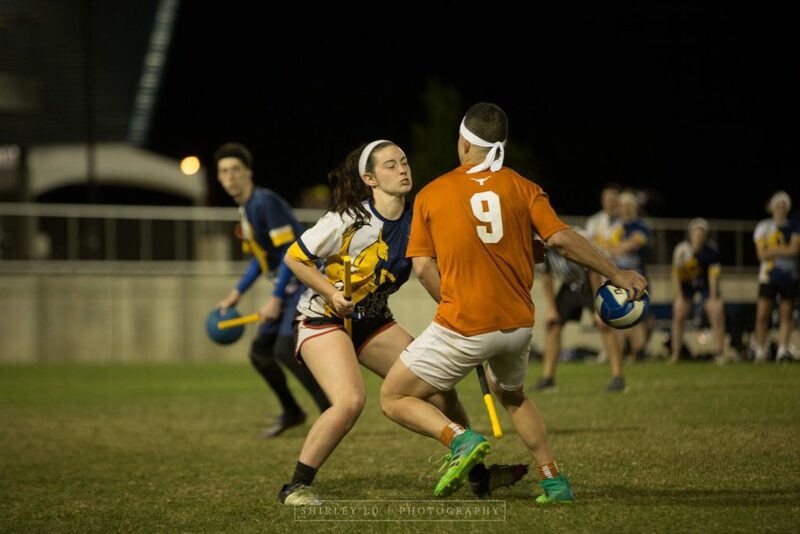 Kwan was ready for a bigger role last season, and with Belitzky still eligible to play, and likely to when the games get more important, this team still has one of the most fearsome beater combinations in college quidditch. 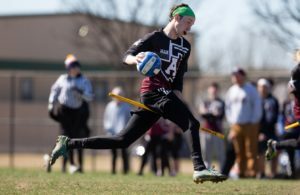 The two-male beater set may be the number one export of Northeast quidditch, a strategy at the heart of many of the region’s best teams through the years, and Rochester will undoubtedly continue to put it to great effect in both the quaffle and snitch games. The bigger loss, of course, is that of Ashkar, who was all but automatic in no-bludger situations, whether he was driving, shooting or passing. King likely will not be able to take that mantle immediately, but under the tutelage of Warren and with playmaking options around him in Guinnip and Emma Foley, he should be able to grow into the role by the time April rolls around. Pascutoi can also make larger contributions in the quaffle game this season, where his experience will be invaluable amongst a young squad. But even if this team cannot score at the rates they managed a season ago, they could easily transform into a squad built to slow the pace, get the game to 18 minutes and win with the seeker game, the area they lost the least from last season. Look for Warren to have his team drilled to drain pace and time against other top-tier teams, forcing them to either play seamless strategic quidditch, a rarity in college quidditch, or cede minute after minute of seeker floor play. It might be a lot to ask for a repeat championship from a young team that has a long way to develop this season. But all our rankings are asking for is a quarterfinal appearance, and with one of the most talented beating games in the country, that should be more than doable. It’s quite possible that we see Rochester underperform during the regular season, as they already have, while they drive to rebuild. But, come April, I believe we’ll be underrating them all over again. 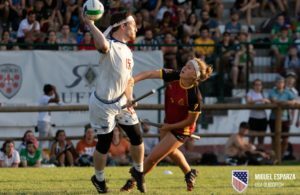 In any other year, a national champion graduating just four players from their roster would be a lock for making a deep run at the upcoming USQ Cup or even be slated as a favorite to win. However, once you look at who those four players are, it becomes clear that University of Rochester will not be that champion. Let’s start with the obvious issue: Every beater that sees substantial minutes on the Rochester roster is male. Rochester played and won nationals almost exclusively in a double-male beater set. The reason this strategy worked was threefold. 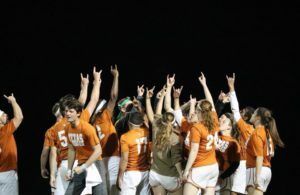 University of Texas had no idea how to play against the Rochester offense. For inquiring minds, you can watch Austin Outlaws v. Rochester Whiteout. Rochester’s female chasers, Sam Dinga and Owyn Guinnip, were some of the best in the college scene. Keeper Basem Ashkar and beaters Perry Wang and Steven Belitzky are very good at quidditch. Of the aforementioned talent, Rochester has graduated Ashkar, Dinga, Wang and Morris Shayo. This leaves just Guinnip and Justin King from their nationals starting lineup. Both Guinnip and King are sophomores and the best talent that Rochester has recruited since the class of 2018 departed; Guinnip has already solidified herself as the best chaser on the team. However, if Rochester plans to play out this season by using a double-male beater set, Guinnip will need support. Looking to step up to fill the spot left by Dinga is Emma Foley. With a season on Rochester Whiteout under her belt, she may have what it takes to step up. That leads us to issue number two: The lack of Ashkar. Ashkar was arguably the best quaffle player in the U.S. to graduate in the class of 2018 and Rochester’s offense was based entirely around him. There is no way Rochester recruits and develops a player as good as him by the end of the year; so the question remains, how close can they get? Our final issue is Rochester’s status in their own region. At the moment, we’re looking at a squad that barely made the brackets of Turtle Cup VIII—even with Mike Pascutoi playing while Ashkar and Wang coached. If this national champion is struggling against weaker Mid-Atlantic college teams, how could they possibly compete with the unranked RPI or Boston University? Rochester may be a reigning national champion but this season, they’re just another college team hoping to make a Cinderella run.